Something thrilling is on its way and Vivo is giving it away! For many believers, the clock showing 11:11 is an instant prompt to make a wish. They believe that 11:11—either day or night—holds some power that can make any wish come true. Global smartphone brand Vivo is taking matters into its own hands. The brand is giving its tech savvy followers an opportunity to share their heart’s desires made at 11:11 am/pm and get an all-new flagship smartphone while doing so. 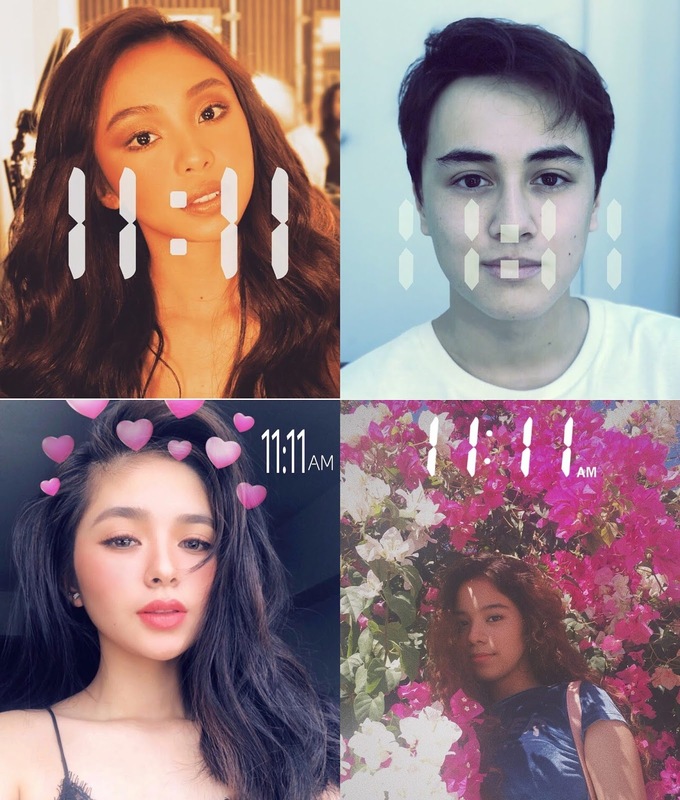 Dubbed as the #MakeAWish promo, Vivo has tapped endorsers and rising stars Maymay Entrata, Edward Barber, Loisa Andalio, and Sassa Dagdag to get the word out and show how easy it is to join the contest. Maymay wished she could go on a vacation with her family while her on-screen pair Edward wished to always have the courage to face something the new. Loisa, moreover, wished everyone will be happy. On the other hand, Sassa wished to be an inspiration to the youth. 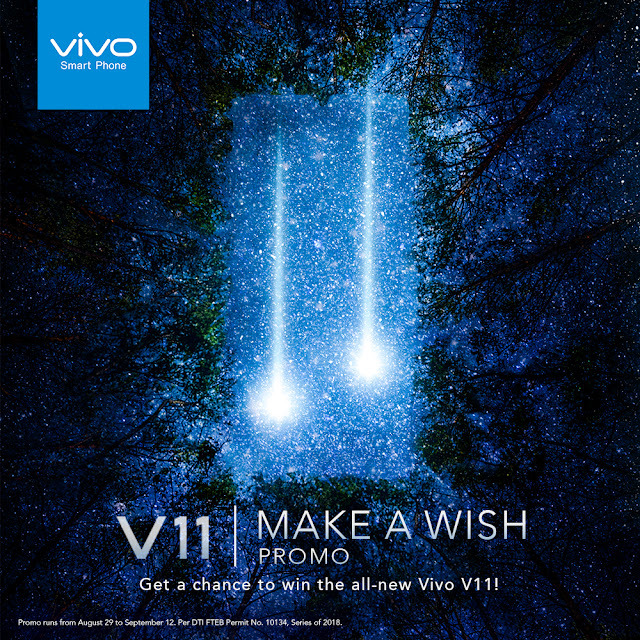 savvy fans to join Vivo’s #MakeAWish promo. To join the #MakeAWish promo, Vivo fans of at least 18 years old through www.vivoglobal.ph/V11makeawish. They can then upload a selfie with an object—be it an analog or digital clock, or any time-keeping indicator that shows 11:11 am/pm—with a corresponding #MakeAWish caption to qualify. There will be two weekly winners for the #MakeAWish promo. A cutting-edge Vivo V11 will be awarded to the Grand Winner for both weeks while the 1 st Runner Up will receive a special Vivo gift set, a premium Vivo notebook, and Little V stuffed toy. Entries will be accepted until September 12, 2018 to get a chance to experience Vivo’s latest offering: the Vivo V11, a hip smartphone fully equipped with a contemporary screen design and a convenient fast charging battery. Participants may submit more than one original entry per account, while same entries (identical image and caption) shall be considered as one entry. For more chances of winning, a participant may submit multiple unique entries provided that the photo and caption are unique from their previous entry. Participants may only upload a contribution with which they own the rights for publication. Heavily edited pictures will not be accepted. The selection of winners will be held every Thursday, 3 PM at the Vivo office in Ortigas. A representative from the Department of Trade and Industry will be invited to witness the selection of the winners. Who knows when this will happen again? Seize the moment.